Oliver Queen goes against the Royal Flush Gang in Arrow | The Daily P.O.P. CW’s Arrow series continues to flesh out the superheroic DC universe with the latest episode which introduces the Royal Flush Gang, a former group of Justice League of America foes. 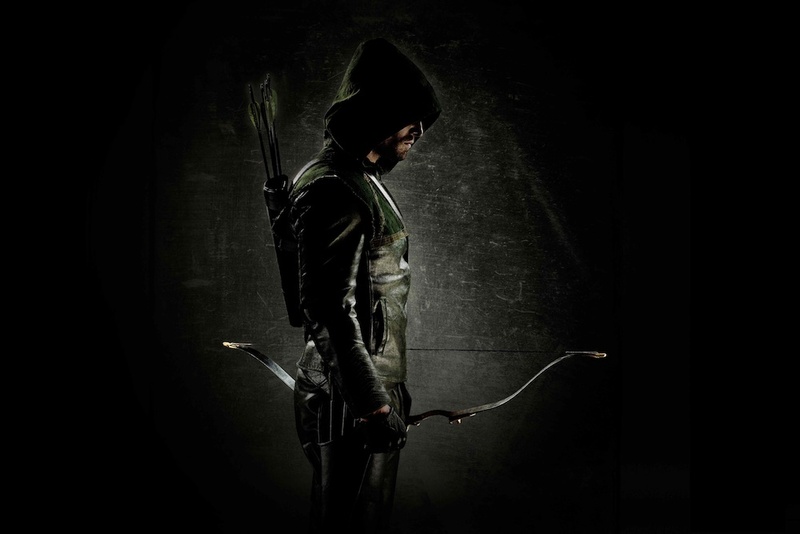 Oliver Queen will be going off-list in an upcoming episode of Arrow. The CW’s new hit series finds the Emerald Archer taking down people from his late father’s enemies list, but in an upcoming episode called “Legacies,” he’ll face off against a new threat: the Royal Flush Gang. We’ve known for a while that Kyle Schmid and Currie Graham were set to play Ace and King, respectively. Now, thanks to The CW, we can see them in all their hockey-masked glory. That’s right, instead of being a super-powered gang of criminals, this incarnation makes their name robbing banks. Arrow‘s playing card-themed episode “Legacies” will air Nov. 14 at 8 p.m. ET/PT on The CW. With the Royal Flush gang and Deathstroke adapted for the live action series, who else do you think should be introduced? Merlyn the evil archer? Clock King? The Riddler? Lady Shiva? This Post was posted in Green Arrow and tagged Green Arrow. Bookmark the permalink. I have been liking Arrow so far. I’m not sure it will go as dark/serious as I’m hoping, but they are on the right track. Smallville’s “Arrow” was a more light-hearted version… this new show seems a little more closely aligned with the Longbow Hunters, which is when I really thought Green Arrow shined the best since the Green Arrow/Green Lantern Neal Adams days.